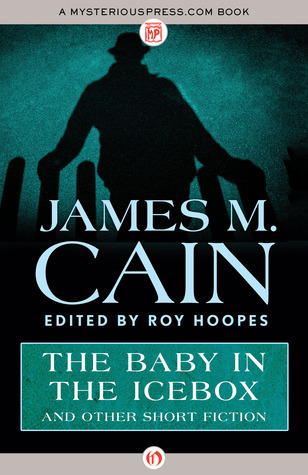 The name James M. Cain never registered on my radar, although I was already familiar with some of his work: “The Postman Always Rings Twice” and what is often considered the epitome of film noir, “Double Indemnity”. Upon opening this I expected more of the same, but was surprised to see a greater variety and depth the Cain’s writing and fiction plots/genres. Several days after finishing this and I wish I had more of his work at hand to read, both the original stories that birthed those classic noir films and his other less known output. This particular collection is an excellent primer on the scope of Cain’s writing, being split into three sections of form: dialogues, short stories, and one serial novella. Each section is preceded by an introduction to Cain’s use of the form, and a general introduction opens the entire collection. These introductory essays are skimmable if you are really just interested in the meat of the fiction, but they are useful in grounding you in why Cain wrote each style of fiction, the merits he viewed in each, and how they were received by critics and fans. Throughout all the forms Cain has two clear strengths. First is creating a clear, compelling conflict or plot, regardless if large-scale like a crime in a film noir, or a simple, brief confrontation in a doorway. Second is his strength in writing dialogue and regional dialects, particularly of working class people. This shines most obviously in the brief dialogues that open this collection, but even within the short stories they dominate, stretching a bit longer, and broken up from time to time with narration describing the setting or actions. Yet, even these narrations, rendered in the first person, are strongly reminiscent of spoken word, a dialogue between the working class narrator, and the reader, who can easily imagine themselves as an unnamed character in the story, listening to a yarn in a diner over a coffee, or bar over beer. In these dialogues and short stories the genre of crime or transgression appears from time to time, but many also do not approach anything as grandiose, focusing instead on small aspects of human emotion or psychology in a pure manner. These are Cain’s most literary moments, and the ones (based on the introductions) that he was most proud in writing. What is interesting is that Cain did not set out to write honest, emotional dialogue-laden fiction per se. That is simply the only writing he was able to create that appeared authentic and sincere. He had to become the character and ‘act’, writing as if he were not Cain at all, but an imagined personality, role-playing. The result is stories and dialogues that don’t come across as fictions necessarily, but honest, imperfect recollections, most wonderfully perhaps in the story that gives the collection its name. The collection ends with a serial novella, a style that Cain did not have any artistic appreciation for, but simply used to pay the bills, much like a serious actor doing some light, mindless blockbuster. But Cain can’t help inject some artistry into the serial, shaping a genre that would translate into the film noir and eventually the French new wave. His serials turned out immensely popular, both with general readers and critics. The serial included was made once into a film that wasn’t particularly successful, which I haven’t seen, but it does lack the spice and sordidness of “The Postman Always Rings Twice” or the precision and tautness of “Double Indemnity”. Nonetheless it is a nice conclusion to the collection, bringing it round to the style of story Cain became most noted for popularly. Although I am interested in reading more of Cain’s work, I appreciated the length this collection kept. By the end of the dialogues and starting the still dialogue-laden short stories, that style was beginning to wear on me, much as Cain found it did when trying to use it to such a degree in his novels. By making this a mixture of styles but allowing none to overstay their welcome, this collection found a great pace. The publisher is releasing a lot of Cain’s old work in ebook format, so once I obtain an actual reader I’ll be checking out some more titles that pique interest.